Nurse Practitioner & Physician Assistant Careers – How are they Different? Nurse Practitioner and Physician Assistant are two health professions that sound alike and have some similarities, but are two different positions. Both of these positions work closely with patients, and provide help and medical advice without becoming a doctor. A Nurse Practitioner (NP) must be a Registered Nurse with advanced academic achievement and additional experience in medical settings. In most cases, in order to be a NP, it is necessary to have a Masters degree in nursing or some field related to health care. The NP should also have additional clinical experience; ie, hands-on knowledge related to the treatment of disease, and also of diagnosis. The NP can diagnose, manage most illnesses and provide general family health as well as develop treatment plans for them. There are many specialty areas associated with Nurse Practitioners such as geriatric nursing, pediatrics, neonatal care, adult health, public health and many others. Nurse Practitioners can diagnose diseases, including some chronic diseases, develop treatment plans for them and are authorized to write prescriptions, order tests, and have hospital privileges. According to the American Academy of Nurse Practitioners, they can work close to 36 hours a week, and earn a median salary of $73,620 /yr. A Physician’s Assistant (PA) does not work alone in a practice but performs their duties under a doctor’s supervision. The PA can also diagnose disease and write prescriptions, but at the direction of a licensed physician (M.D. or D.O.) The PA does not have as much authority as a NP, but does work with autonomy depending on competence and doctor’s delegation. Physician Assistants may also have specialties similar to the NP; they can assist during surgeries and also work at hospitals, under proper supervision. According to American Academy of Physician’s Assistants, the median salary for a Physician Assistant is $69,517 /yr. working approximately 32 hours a week. These two positions are increasing in the healthcare area and can be great jobs, with opportunity to provide patients with quality health care, and educate them about better health practices. You may need a four-year degree to get started. The NP will have increased responsibilities and a PA will be starting out on a rewarding career path. 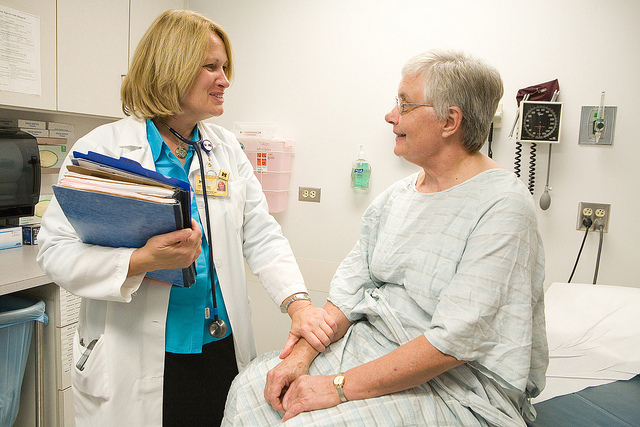 NOTE: A nurse practitioner (NP) is an advanced practice registered nurse who holds a graduate-level degree. While in most states RNs currently need only a Master of Science in Nursing (MSN) degree to become nurse practitioners, the American Association of Colleges of Nursing (AACN) has proposed that the Doctor of Nursing Practice (DNP) be the minimum requirement for all advanced practice nurses by 2015.